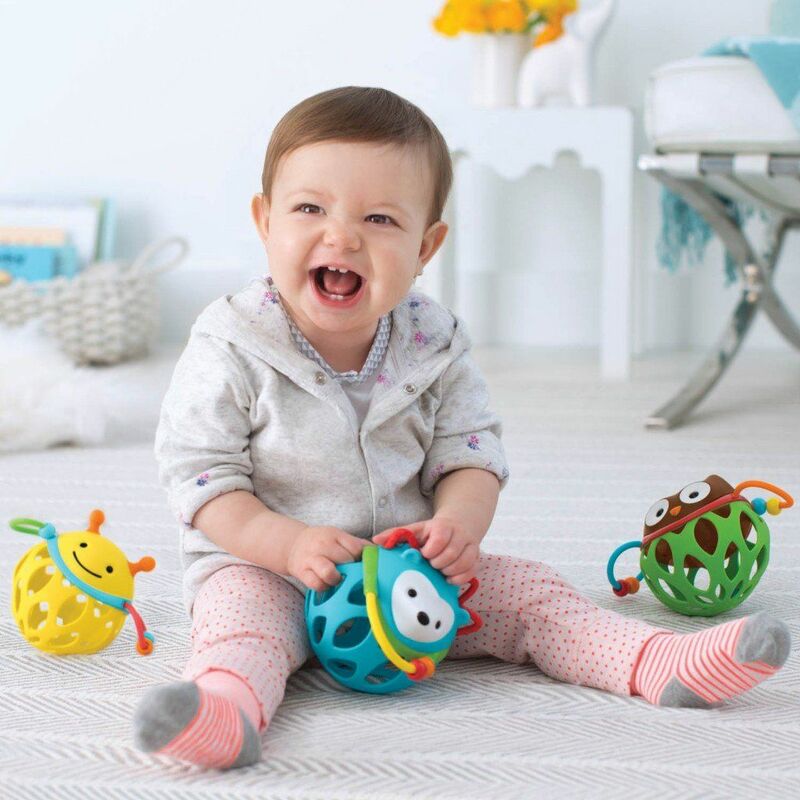 This Explore and More Roll Around Rattles engage baby in developmental play. 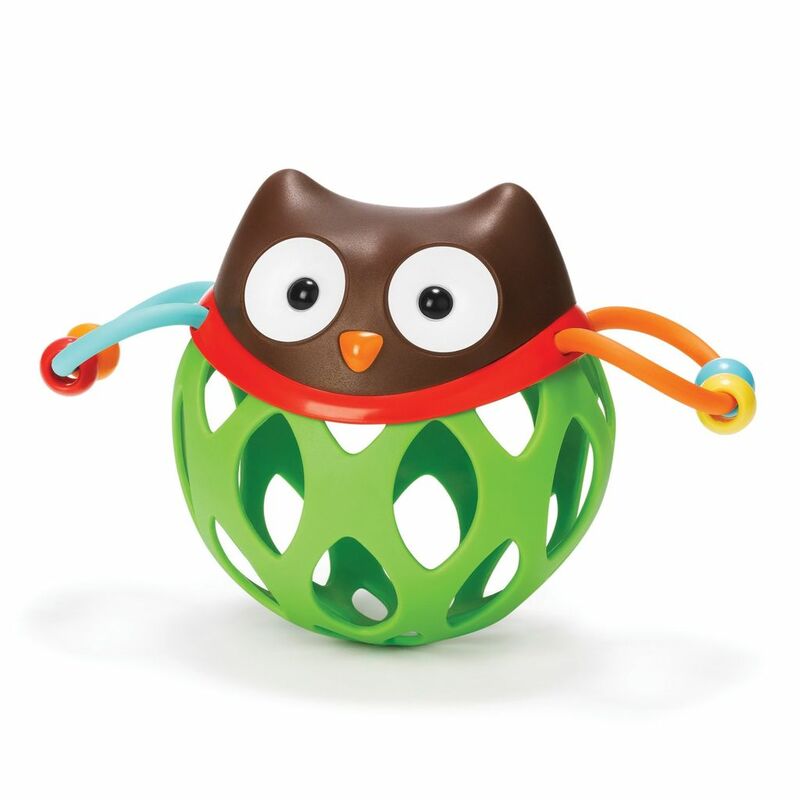 The flexible body has easy-to-grasp openings that help little hands build dexterity. 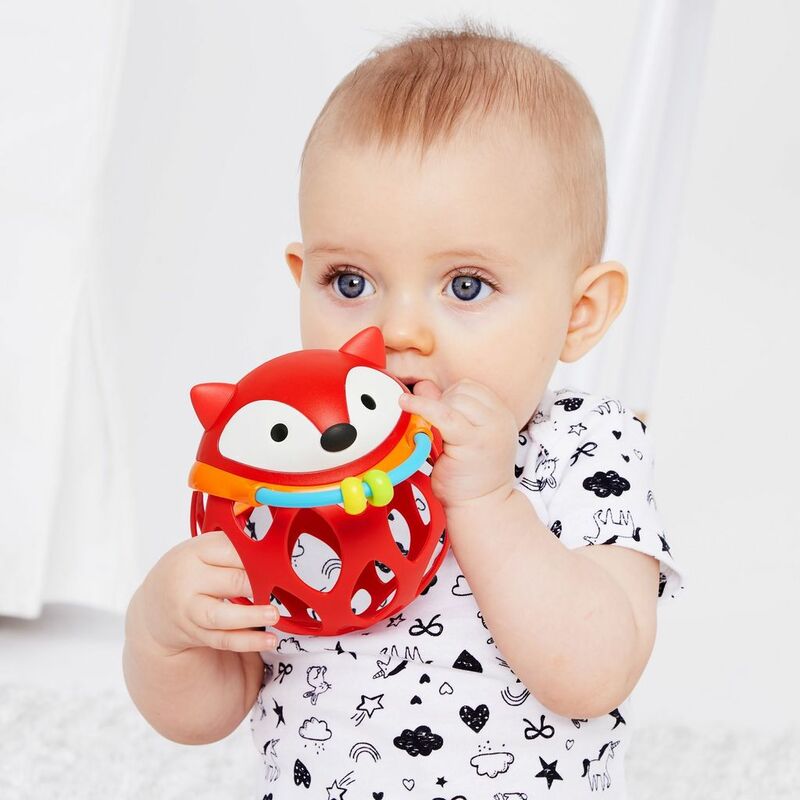 The rattle encourages rolling, shaking and tossing, while teethers and beads offer more to touch and explore. 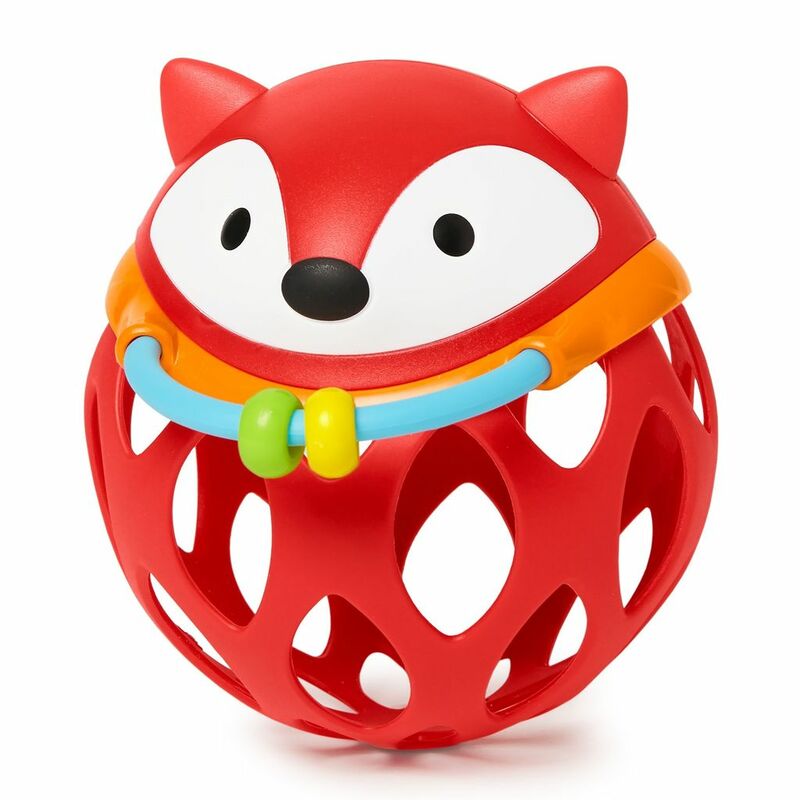 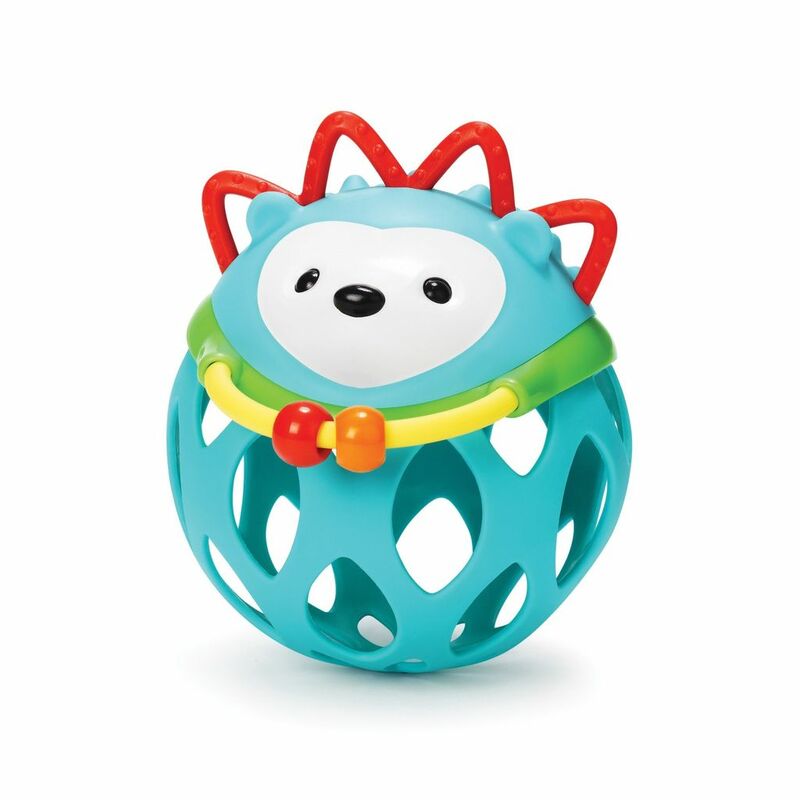 Ages 3m+; Easy to grab; Rubberized details for teething; Rattle beads; BPA-Free • PVC-Free • Phthalate-Free.